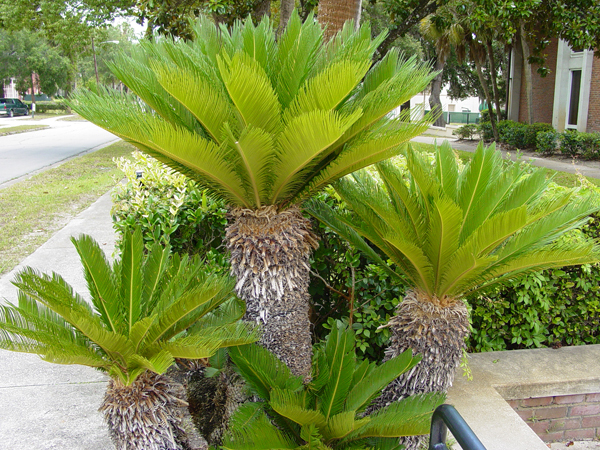 This is the Sago Palm in front of Davis Hall on campus at Stetson University. 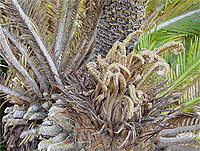 This photo is dated December, 2007, and depicts a heavily-infested plant. 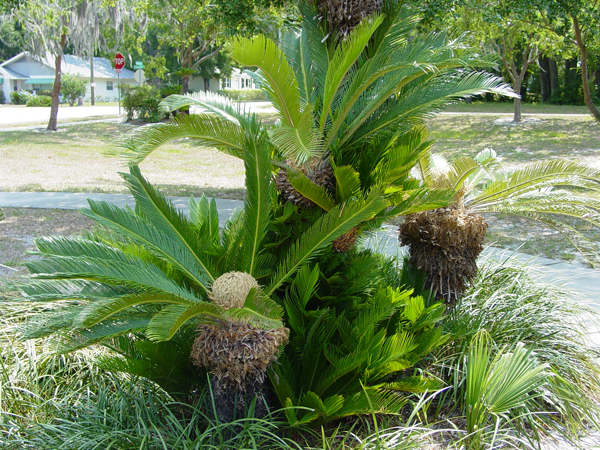 This is the Sago Palm in front of Davis Hall on campus at Stetson University dated May, 2008 after treatment. This is another photo of the Sago Palm in front of Davis Hall dated December, 2007, as well. 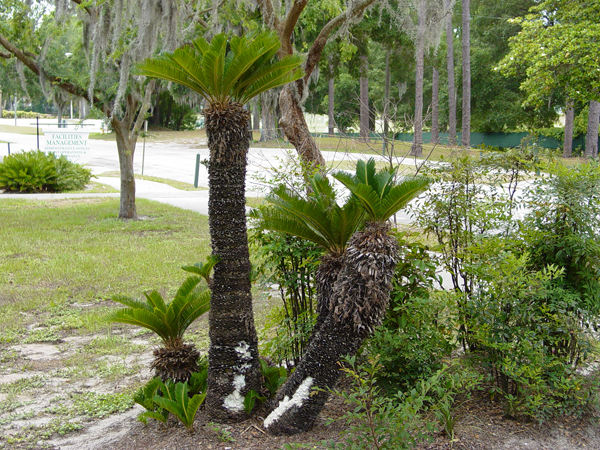 Note the deformed fronds with the white Asian Scale. 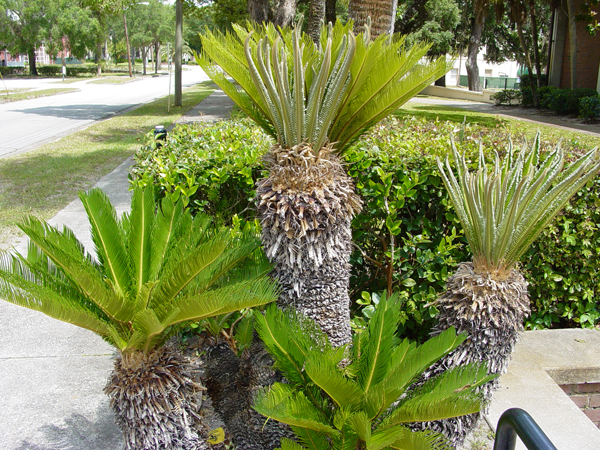 This is another photo of the plant to the left in front of Davis Hall in May, 2008 after treatment. 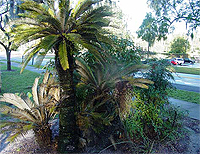 This is a photo of the Sago Palm in front of Davis Hall dated December, 2008. 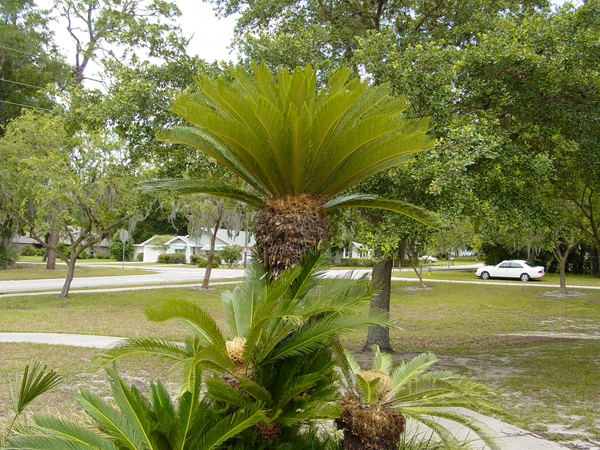 Note the absence of fronds with the white Asian Scale in the crown of the plant. 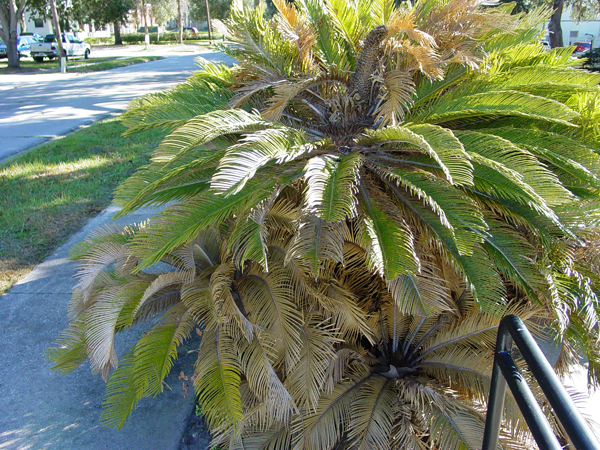 This is another photo of the Sago Palm depicted at left in front of Davis all dated May, 2008, after treatment. 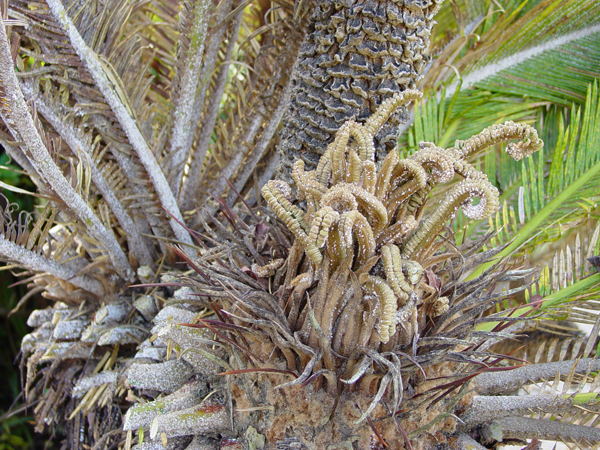 Photo of a large female Sago in front of the Physical Plant December, 2008. 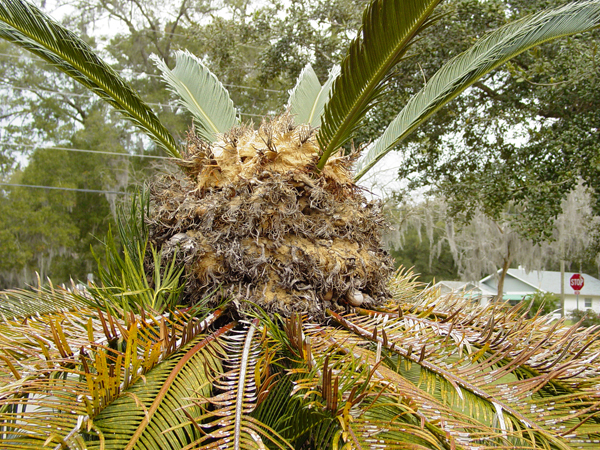 Note the diseased fronds and lack of growth from the crown. 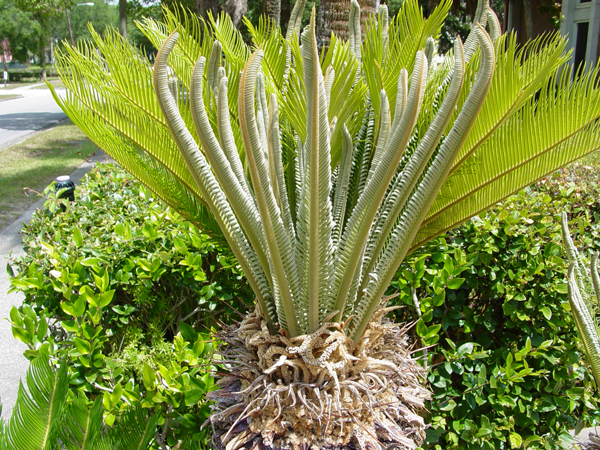 A photo of the same plant in May, 2008. 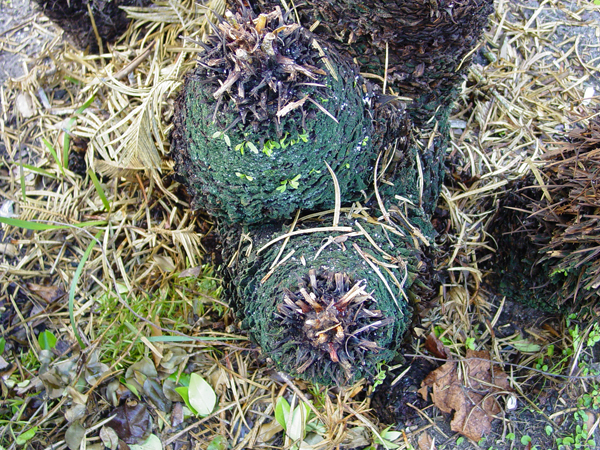 Note the lush green growth from the crown and the smaller pups from the same plant. 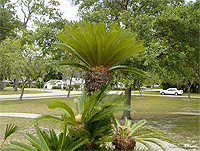 This is a photo of the large Sago located on the corner of Garfield and Minnesota Ave. in front of the Physical Plant December, 2008. 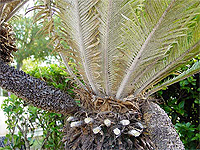 This is another photo of the same sago located to the left in May, 2008. 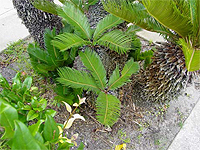 Photo of a highly infested plant in front of Davis Hall in December, 2008. 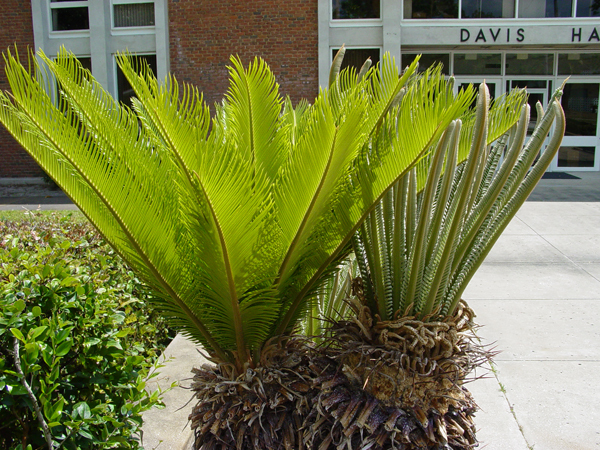 This is a photo of the same Sago to the left in front Davis Hall in May, 2008. 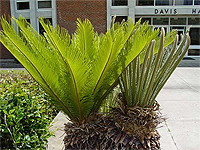 Photo of a robust healthy plant in front of Davis Hall in May, 2008. 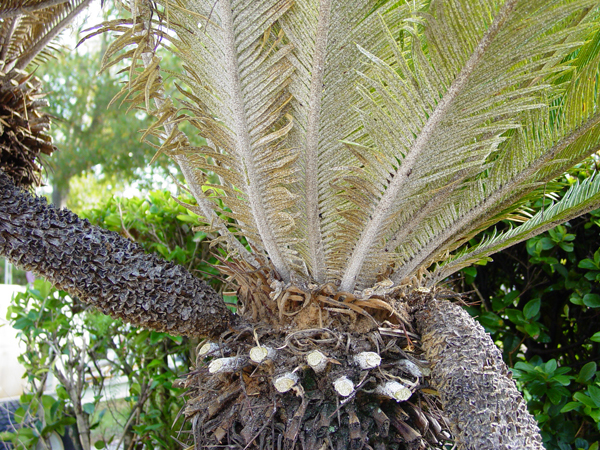 Photo of a healthy female Sago in front of the Physical Plant dated May, 2008.